TOP #22: Are Subscription Dog Food Services Worth It? Home Podcast TOP #22: Are Subscription Dog Food Services Worth It? Subscription boxes have gained a lot of traction over the last few years, and pet industry is no different. There are tons of different subscription dog food services to choose from, but some of them differ significantly from others. But the question most pet owners are asking is whether subscription dog food service is something they really need? For this podcast episode, I had the pleasure to sit down with Marco Giannini, the CEO of The Naked Dog Box. The company focuses on delivering highest quality dog food to pet owners' door. Naturally, their original name and the specific foods they use drew me in, and I had many questions about the process and what are the benefits of using a subscription dog food service as opposed to just buying dog food in a regular way. Also, Marco shared a promo code for all readers and listeners at Top Dog Tips. If you want to try the service at The Naked Dog Box, enter the promo code TopDogTips10 and you'll get your first dog food box for just $10. Episode link: TOP 022 – Are Subscription Dog Food Services Worth the Cost? Are Subscription Dog Food Services Worth It? * Scroll down below to read the interview with Marco Giannini. Samantha: [00:00:19] This week, I really got thinking about subscription boxes for dog products. We hear about it all the time you see things like the bark box are really common or you can get dog treats, dog toys. There are some subscription services for dog food now. So, I wanted to dive into this a little bit, see if it's beneficial for us as pet owners to be spending a little bit extra for that convenience of having products shipped to our door. I also obviously like the idea of being able to have high-quality products shipped to your door. If you live in a rural area like I do. There's probably only one or two different pet stores that you have access to locally and they don't always stock the highest quality products, they stock the stuff that sells. So, often it's cheaper products or lower end products that are more popular. So, I wanted to look into a quality product and quality products that you can get shipped to your house. So, I stumbled across the naked dog box. And of course, the name's funny; the naked dog drew me in. But the reason that it's called Naked dog is because it's premium dog food with the best ingredients without all the artificial preservatives, fillers, things like that. So, it's the naked dog, it's just true honest high-quality dog food without all that extra stuff. [00:01:48] So, I stumble upon The Naked Dog Box. I actually I was able to speak with Marco Giannini who's the CEO of naked dog. And he told me about the product, how it got started, the pros and cons, the benefits for pet parents and he actually give me some great kind of insider tips. If you're thinking about in dog food and ways to get it to be a little bit cheaper for you to have it delivered. So, check out this interview with Marco and of course if you have any questions or comments jump on our website, which is theoryofpets.com. I don't forget to leave me an iTunes review that really helps me. When I'm trying to find other pet professionals to interview. And I love hearing from you guys so, share your comments, questions, suggestions or anything like that, I'm always happy to hear. So here is my interview with Marco. Samantha: [00:02:40] So, you got the naked dog box. I got one as; like a review, just to review with my dog. So, I received that last week I checked out the food and we got our packages Zouk’s treats. Which we've tried in the past and obviously my dogs love them. So, it's important to me to feed natural and you know to find higher quality products. I think a lot of pet owners don't realize what's out there. And as far as what the good choices are? And I don't think a lot of people realize what they're feeding their dog. You know they have a lot of people I think go by price or recommendations from what other people are feeding and popular brands and I don't think they realize what's in them and the harm that those kinds of products can do to their dog. So, if you want to just tell me a little bit about yourself and how you got started in the pet industry? Marco: [00:03:29] Great, my name is Marco Giannini. I got started in the pet industry in 2004. I accidentally walked into the pet industry, got very lucky getting into it. I was wanting to do a beverage company and all-natural beverage company in 2004. I thought maybe I could try my hand at that. I actually ended up meeting someone who was a manufacturer of dog treats and I thought what if I could actually do a dog natural dog treat that had added health benefits to it. And so, I started this treat in 2004 called Happy hips. I was a company that I founded literally, living on my dad's couch, out of the garage type of company and it was a good for you treat. That was exactly what it said, it was happy hips. It would have glucosamine chondroitin it. And it was a very beneficial treat for hits and joints for dogs. So, I was really forthright it was really kind of new in the whole advent of humanization of pet treats of putting a brand in the product name giving a product name like. This what we were trying to do. So, it was back when Vitamin Water was very popular back in 2004 and a lot of coverages and human parts were very popular had a lot of life to them. [00:04:46] We really wanted to bring life to the pet industry, to healthy products and that's how I started in the industry back in 2004. Fast forward in 2013, I decided to become more vertically integrated. I sold the company dogs well and was not associated with it anymore. And in 2013, I really wanted to; really try to find a product that we create to get us more to get us closer to the consumer at a better price, for a better product. In order to do that, we need to create our own retail and we need to create our own products. That we could save on cost, save on price and give a better product to the consumer at a better price and faster. And so, we started the naked dog and the naked dog has been a wonderful ride. I started 2013, we opened up retail store locations in 2014 in Southern California but in 2016 as we continued to grow. We realized that all private label brand which is a very, very health conscious, grain free, potato free, brand called naked. Which is dry dog food, dry cat food, which is very healthy? We wanted to get it to the masses to the world. [00:06:01] We want to get out outside of Southern California and that's what in 2016. We had the idea for the naked dog box, which is subscription box of dog food. Which is gluten-free dog food that we're talking about? Which is curated for your dog with five simple easy questions that are asked in the beginning and it's sent out every two weeks. And it's a really, it's the best product, the best price kind of situation and to really an affordable product. You're getting a grain free gluten free product that you would get for other between 18 and 30 dollars every two weeks and you get a surprise treat every time. Then it's a specific amount of product for you and your dog. So, it really helps you with obesity is a huge, huge part of our world and we really want to take away obesity in pets. We want to make it easy for the pet parent to feed that dog. So, we give you an exact two weeks’ worth of food that's meant for your sized dog and are appropriate for your dog. Samantha: [00:06:57] So, two of the things that really stuck out to me; one- I love that you talk about how you know the trends in pets and humans in diets we're now seeing kind of lead over into the pet industry. That's something that I've noticed as well and I think a lot of pet owners are picking up on that but I think a lot of education still needs to be done about the different diets and how to feed dogs, we know how to feed ourselves but dogs are so different. So, I think that's really important and to the obesity epidemic. The listeners that listen to my podcast regularly, I talk about it almost every week. It just keeps coming back around. No, matter what you're talking about exercising, feeding, treats things like that. So, two things that I think are super important for people to understand too. And it's one of the things I noticed as I mentioned I received my first naked dog box last week. And I'm so speaking of those five questions I answered. I have three dogs but I answer the question for one of my dog she's a chocolate lab. Labs are known I think to be one of the most commonly overweight breeds and it's an issue that we've had with our chocolate lab, Sadie. I get the box and I love that they come with a scoop, that's you know designed for your dog. How much you should be feeding your dog? And that the food is geared toward your pet for a healthy lifestyle not just getting all the nutrients that they need. But you know staying at an optimal weight and getting the best things for your dog, their size, their breed, things like that. Marco: [00:08:30] It's very interesting, I mean at the end of the day if we can all understand the proper nutrition and have the time and capacity to feed home cooked meals for our dog every day, with the proper nutrients, the proper supplements, the proper nutrition. Life would be perfect but it's not, right. So, what we need to do is we need to figure out solutions for our pets. And as pet parents, you know what we wanted to do with the naked dog. We wanted to take the guesswork out of it and we've actually had calls. We just launched the naked dog box in January. So, it's brand new. So, we have consumers who are on their fourth and fifth box. It comes every two weeks with the exact portion you should be feeding your dogs. And I've gotten feedback from consumers that within two weeks, they noticed a change in their dark physique. And actually, if they get a little bit startled because all of a sudden, they can feel the outline of the top two ribs in the rib cage and then it becomes very solid from there. And that's really what you're supposed to see in the dog. You're supposed to see just a partial the top of the rib cage and then there's supposed to be kind of filled up from there towards as you go towards the down the torso on the body of the dog. And so, when a dog loses you know there are 45-pound dog and they lose 3 to 4 pounds. There are 70-80-pound dog. They lose a few pounds. [00:09:52] The amount of energy that your dog receives and gets and what they can do for their lifestyle they get more energy, less likely to get heart problems, less likely for diabetes, less likely to have issues with joints and hips. You know, a dog with joints in his problems. That's one of the top killers in dogs. 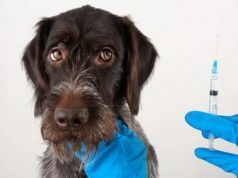 Are always arthritis in dogs as they age? If you can keep their weight low and keep them on the appropriate weight size. You really have an opportunity to have a longer healthier life with your dog, at the end of the day it's a naked dog whether it's our company and the naked dog that's helping you out or to another company. What's our goal? Our goal is to have a longer lifespan with our adult dog. You got a little puppy who's wonderful and been a little hectic sometimes and tearing up furniture. You've got a wonderful adult dog in your life for about five to seven years of really healthy being. And then you've got your senior years for your dog. Which can get very challenging? Then at the naked dog box and I'm sure with all your listeners we want to expand that adult time with our dog, right. We wanted to go from 5 to 7 years to 7 to 10 years or sometimes even 10 to 12 years. If we can do that with a 30 to 50-pound dog or 50 to 80-pound dog. At the naked dog, because we're feeding the appropriate amount of food, that really helps. It's really interesting about obesity in dogs. It's not; it's very clear what to do to help dogs. [00:11:24] We have to feed them the appropriate amount but when we get a bag of dog food in tell; and you get a 30-pound bag of dog food at your local pet store. And it says give him one cup or two cups and three cups and three to four cups. Everybody kind of fills in a cup and they see what their dog eats and they're not really paying attention to it. And how many times a day do I feed it. The Naked dog box, it's twice a day. We give you the exact scoop like you said and we give them the appropriate amount of food. And they start seeing a difference in their dog in those first two weeks and every two weeks you get fresh food that comes. So, and of course, we want to treat our dogs, right Samantha. We want our dogs to be happy, we want our; we want a part of the reason why we treat dogs in the first place. I grew a tree company from zero to something that was national. The real reason we treat dogs is because we want to feel better about ourselves, right. We want our dogs to come to us and wag their tail. [00:12:19] We give a treat and they sit, they stay and they pet us and they love us, right. So, it's a lot of affection that we get from dogs when we treat dogs. So, we love to overindulge dogs. It's totally natural. Just like we overindulge in ourselves and our friends and family. But if we can do it the naked dog box, we can provide you with the right amount of food every two weeks. We can provide you with one tweet or one toy every two weeks and you can play with your dog or you can give him a little bit of indulgence. Great, you've got a great balance in your life with your dog and then your dog can live a couple of years longer in that adult time frame. And that's really what we're looking for is to preserve that wonderful, the walks. We take with our dog or the happiness that we have with them on a daily basis. When we come home from work. Samantha: [00:13:05] Absolutely, and I actually I was in touch on the subscription service later but I think it fits in really well here. And you talked about it a little bit and it takes that guesswork out, not with every subscription service. I think we're seeing subscription service become a little more popular but with the naked dog box subscription it does take that guesswork out. As I mentioned to get the scoop that's perfectly portion and you get the food you feed twice a day and it's the amount that you're going to need for that two-week period. And then boom another box shows up on your doorstep, you've got fresh food and you're ready to go. So, it certainly makes it easier in that aspect but there are some other advantages to subscription services as long can you talk about that a little bit. Marco: [00:13:48] Absolutely, well it really depends right. So, we have all kinds of subscription service out there. Most of them are nice to have, not many of them are need to have, right. When you look at some human food subscription services. You don't get the food every single day when you get a, you know when you get a nice pair of shoes or some nice shirts you get them once a month. You don't get those that's not your only shirt that you wear, right. Well for the naked dog this is your only food for your dog. So, it really makes it very simple like you said takes the guesswork out of it when you get to naked dog box every two weeks. But some other advantages to having the subscription service. We make our food every single month, fresh beautiful dog food. We have an amazing plant that we actually have in California. Okay, manufacturing excuse me; a manufacturing facility in California that we have that makes our food. It goes from the plants to our logistics, to your home. So, it goes from the cooking facility to your home in a matter of weeks and nobody, very few people touch that box. And when you're going through traditional distribution you have; the manufacturer, you have the distribution facility, you have the retailer facility, you have the retail store. Then you have the home. When you have a subscription box and the naked dog box. So literally going from our manufacturing or cooking facility to our logistics warehouse. Which ships the boxes out to your home? So, we cut out two steps at least. [00:15:21] So, it helps save on time for freshness of food and it also helps save on price for the consumer. So, with our naked dog box for the smallest dog, it's $18 every two weeks and for the 50 to 80-pound dog. It's $30 every two weeks and it depends on the size of your dog and the activity level. It's an area between 18 and $30 every two weeks for your dog and that includes the food and that surprise treat every two weeks and we can give that great price because we're going directly from our house to yours. It really cuts out a lot of those middlemen. And so, it really is it gives a whole new meaning to; it's not obviously; it's not Farm to Table like human food. But it's let's call it, you know cooking facility to table. It goes very quickly to your home. And the other nice thing about it is when you do a subscription service. A subscription box like the naked dog box when you call the 1 800 number or you send an e-mail. Usually, if it's between the hours of 8 to 5, you're going to call the office. It's before 8:00 a.m. Pacific time or two after 5:00 p.m. you're actually calling my cell phone. You're calling Marco the CEO. Marco: [00:16:35] Yeah so, if you have a problem after 5:00 p.m. Pacific Coast time; so, if you're at 9 o'clock at night and you have an issue or a question and you're sitting in New York City and you call the naked dog box phone number. You're actually calling through to my cell phone. So, you have this one on one with our company. When you talk to the Naked dog box. When you have an issue? when you have a problem with your boxes? When there's a, you know people call and their problems? They don't call when they're usually happy, right and that's OK.
We solve problems for people and that's our job. And so, we answer your questions right away and I think that's really nice because you're not getting this power to a retail store where you need to ask the retailer or the distributor you're going straight to the manufacturer and I think that's a really nice touch. So, I think price, convenience, speed and freshness of product is real. They're all really big factors that contribute to making a subscription box a really neat thing and that can happen with a lot of different things. Right, but we just happened to be in the in the pet food business and helping pet parents make the right choice for their dog. Samantha: [00:17:38] Yeah absolutely, I think the most important thing in one of the things when I was doing research before the interview that I; I found the most appealing for me. Is that time I think a lot of people don't realize and I actually wrote an article about it and this was a couple of years ago now and I got so many comments from readers on the article because they could not believe how long commercial pet food. Sometimes, in between when they're made and when you feed them to your dog, it's months in between. They sit, there distributed, they go to a warehouse somewhere, they sit there for a little while. Then they go to the retail store. They sit on the shelf there for a little while and then you buy it. So, I had talked about you know that that time frame and how Dog's food expires and I think a lot of pet parents don't ever think to look at the expiration date because they just assume that it's going to last a long time and it's coming straight from whichever company you know makes the dogs food. And they don't realize that it's been sitting around for months and months. And to me, that was certainly one of the biggest perks was that we're talking cutting down months of time of that food sitting to now week. So that's huge. Marco: [00:18:47] Absolutely, it's a huge difference. The freshness of the product is a really big deal and it's important. I mean, again I would love to be able to have everyone cook their own fantastic meal for their dogs and give them the right nutrients and the right supplements. It's just not possible for the world, right or it's not possible for everybody. But if we can give can give everyone a little if we want a little more, better peace of mind by getting them out of faster food, faster. That's more fresh into their home. I think we've got something special. Samantha: [00:19:19] Absolutely, I think. Marco: [00:19:20] And it's something we really need. Yeah, and the other stuff that we're doing too and we've been in touch with a couple places. Where we're kind of start giving to the autism service dogs of America ASPA. We've got on our site that we're hoping to support. And then also the West; there's another place in Los Angeles called The West German Shepherd Rescue where you have in Los Angeles or company in Russia and helping them with supporting them to purchase a building for the rescue organization. They've saved over 15000 dogs in their lifetime of the rescue organization and we're hoping to reach out to other places throughout the United States and other rescue organizations and pockets of the U.S. but we can help them as well. So, because we are direct from the manufacturer direct to the consumer. We can really reach a lot of people, we can touch a lot of people; a lot of pet parents and I think and I'm hoping we can touch a lot of causes as well. Samantha: [00:20:12] Yeah, that's excellent, that's really wonderful. Kudos to you for that. Marco: [00:20:16] We're working on. Samantha: [00:20:16] It an ongoing process, giving back is something that can grow over time. Marco: [00:20:21] Absolutely, Absolutely, obviously the more customers we can bring in the more we can bring back the more you get back. Samantha: [00:20:26] Certainly, so let's talk a little bit about because we talked about the subscription service. Let's talk about the food that you provide because we are in the word natural around and you are talking about gluten free and things like that. 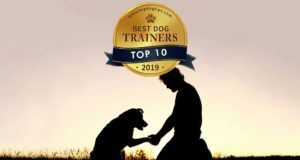 And as I mentioned to you and I personally love to educate my listeners and readers of our top dog tips say about the importance of a really high-quality diet for dogs. I know a lot of pet parents just go based off price. They want something that's cheap. Some people once they figure out that some of the cheaper brands you know have fillers and things and then they decide that maybe they're going to step it up a little bit. And so, they see a bag that says you know that it's healthy or that it's nutritious or that it's great for all life stages and they just think oh yeah sure this is going to be great. It's you know it's pretty cheap and I'm going to grab this one. But really I think a lot of pet owners need to realize; how important it is to look into the ingredients that go into the food that you're feeding your dog and where those ingredients are sourced from. So that's one of the things they think that the naked dog really is passionate about. And they you know you guys are trying to give the best ingredients. So, can you talk a little bit on the food itself? Marco: [00:21:42] Absolutely, you know I was just you know reading an article on dogs; Topdogtips.com, this morning talking about the right levels of protein for your dog, right. So, everything from you know the naked dog box, we talked about protein levels. We talked about fiber levels. We talked about the protein sources that we have, where proteins come from and also but especially what we don't have in the product that I think is where we start. That's a foundation of what we do. You know when we're trying to figure out. And I've been in industry about 14-15 years; 14 years I guess something around that time frame for 12-13 years. It's really important too when you're figuring out what product you want to create. I think you can start with what you don't want in there. So, you don't want there's no corn, no weed, no soy, absolutely you don't want that in your product right. You can't have a natural food fat in there. What you don't want is, I don't want grain. Why do we need products with grains anymore right? Dogs are more carnivore diets, right. Let's go potato free as well. Potatoes are grain free diets have exploded. They're actually growing the fastest out of any diet in the pet food and the dog food world, growing some estimates have it about 20 to 25 % year in grain free diets that are growing. But what happens is when you put grain free diets in there some people might actually just take those grains out and replace with other items that are okay, but not great for your dog. And potato is a very interesting one because potato is actually very is; it not bad but a lot of potatoes are great for your dog. And at the naked dog boxes. Marco: [00:23:29] We don't have any potatoes in our food because potatoes are high in the Glycemic index, actually. Which as I'm sure you're aware of Samantha and your readers are aware that the glycemic of your products are high glycemic index. That means they're hiding in glycemic that basically turn into sugars inside your body. And so that can be very alarming for weight gain. That can be alarming for heart issues obviously diabetes in dogs. A lot of problems. You want to keep this sugar low and so because we're potato free. We were very low on the glycemic index, our products or our food. All of them are grain free beef or grain free salmon and grain free turkey. Also, another known common protein allergen is chicken. We don't have any chicken in our products as well right. So, what we do is we make sure that our proteins are the first in green which I think is very common with a lot of companies too, for important. We make sure we have all the no; no wheat, no corn or no soy, no fillers, no by-products, no by-product meals; none of that is there, right. And then we also want to make sure that we don't replace anything with stuff that might not be great. So, we make sure we have no potatoes as well to keep a low glycemic index. We've also done is we want to make sure that we have a protein in there. A protein amount that's good for the dog on a regular basis for a sustainable basis for a long period of time so, they can enjoy that adulthood, right. [00:24:55] And so, when you have protein sources that are down below 20 percent that's not good than they need more protein. When we have them above 30 and 40 percent it might be a little bit too much. You talk about kidney issues in the dogs that they might have, a little bit too much protein to protein rich for them, right. So, what we did is we actually have a 24 % protein for example on our beef that our green free beef food that we have. So, it's really, really good for them. Fiber levels in our foods are around 6 % you want it between 5 and 7 % fiber. You going to go to high fiber for dogs because you want them to have a good stool but you want to have them too low and fibers as well and so we have between 5% fiber and all of our foods. Which is really good for the dogs and the naked dog box as well. So, when dogs need to transition to our food because it's a brand-new food they are getting it actually is not a difficult transition for them because it has a solid level of protein, proteins the first ingredient. There's really no bad stuff in the food and the fiber levels are nice and in good at around 6 percent for the dogs. So, the transition for dogs from another food to the naked dog box is very, very wonderful and there's really been very minimal issues. If no issues at all with all the dogs who transition on our food. It's been really fantastic. So, I think it's really important when you're looking at a food for anyone who is feeding their dogs. Any pet parent you want to look at a number of factors, that you really also want to say what's not in this food. [00:26:30] Then if you can rattle off what's not in there and say Gosh there's no wheat, no corn, and no soy no bad stuff. Wow! That's a great start you know and if you can go to naked dog box or you know with another food has plenty of great foods out there in the world. [00:26:45] You just really want to look and make sure that none of the bad stuff in the food to start with. And I think that's even with some of these ingredient panels it might be a little bit intimidating to read. If you can check those boxes and say I'm at least keep my dog away from all that negative stuff. I think you've got a great start and a great foundation to give your dog a little bit longer of a really healthy adult life. And you know getting rid of the obesity getting rid of the sugars and getting some better health. Samantha: [00:27:15] Yeah definitely, so you talked a little bit about we've talked about the subscription if somebody is listening and they decide you know when this naked dog box sounds like a great idea. I love the subscription service obviously the food you know quality. 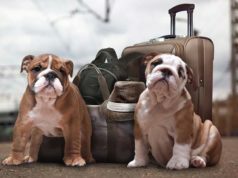 So, they are going to jump on your Web site and you mentioned the prices you know for little dogs and the bigger dogs it ranges from 18 to 30 depending on your downsize. What if somebody has multiple dogs they sign up for a subscription for each dog. Samantha: [00:27:41] So we've actually got for your first dog. You actually we have a great offer. You can do first box is $10. So, we have a great promo code actually for you guys right. TopDogTips10 is the promo code, which is wonderful to use your first box is $10. Now if you have multiple dogs you can actually sign up multiple dogs for the naked dog box for the service. Now, I will give you a little tip though. [00:28:14] If you really want to save money and your dog fit a similar profile and they all are good on the similar foods you can actually combine your dog’s weights and get one box. So, I have some people who; I've got some people who've got a, you know a little – you know a little 10-pound. I myself have four dogs, right. So, I've got a German Shepherd, a golden retriever. We've got we just adopted an Anuto. Oh gosh! I'm going to screw this name up; Anuto Beckter. Oh my gosh. Anuto Beckter. It looks like a mini Rottweiler. Absolutely gorgeous. Samantha: [00:28:51] And all the years I've been doing dog stuff I have never even heard of that breed. Marco: [00:28:56] Anuto Beckter; I'm so screwing this up, we just adopted it. Someone just could not keep it in their home and of course, they called us because we're in the pet industry. And of course, we'll take the dog right. So, and then we've got a tiny little dog, right. So, we've got them ranging from 1 to 10 pounds all the way to an 80-pound dog. But if you were to have a, you know a 1 to 10. Let's say a 10-pound dog and a 20-pound dog or 20 to 30-pound dog combined those weights together and you've got about 35 pounds worth of pet you could actually just get one box and it's a huge saving because now you're getting one box in the 30 to 50-pound range and it's $27 every two weeks. And that speech, both of your dogs. So that's not advertised normally on the site, on the naked dog box but you can do that. We have customers who actually do that because I understand you know the more dogs you have you want to be able to save money. Marco: [00:29:52] You aren't going to get one you're going to get one treat bag. You're not going to get two treat bags, you get one free bag share both dogs. But you are going to get great food every two weeks. What we do are people combine their dogs, for sure their dog's weight but also like I said TopDogTips10 is a promo code that you can use and you can get your first box for 10 bucks. And the great thing is you can cancel anytime. You cancel after the first box, second box, third box. It does not matter, it comes every two weeks you can cancel anytime on the website by yourself. You do not even have to call anyone you want to cancel. So, we want to make sure there was no pressure. We want to make sure that it can nakeddogbox.com anyone could come. The price is right for everyone to enjoy the food, pet parents and their dogs to enjoy the food. And we wanted to be able to give the people the ability, if they wanted to cancel anytime they could. And that's possible as well. Samantha: [00:30:46] Wonderful, that is great and I appreciate that tip too about combining the weeds. I know for a lot of dogs. Are a lot of multi-pet owners, you know you may have a big dog and a small dog or two smaller or two mediums and that would work a lot better to save people some money and that's an awesome insider tip I guess I would call it. Marco: [00:31:03] Yeah, I mean if you've got two 30 pound dogs you can get the 50 to 80-pound option. Right, and you can and it's fantastic, it gives you exact directions on how to feed your dogs. And you're looking at $30 every two weeks for a super-premium grain free, potato free dog food with the surprise treatment every time. Samantha: [00:31:19] And you can't beat that pricing, anybody that's shopped around for a high-quality dog food. I know we with our three dogs we spend well over $100 a month to feed our three dogs. A top quality food so $30 every two weeks to feed a couple of medium sized dogs is very cheap. Samantha: [00:01:39] Wonderful, great, thank you. Is there anything that we haven’t? talked about or touched on that you wanted to say. Marco: [00:31:46] At the naked dog box, we really care about providing top quality food that's available to everybody. And it's really hard to do. I think it's really tricky. You know you, I hear about people who feed their dogs. Iron, Orijen or Purina or these other brands that have a lot of fillers that aren't great for dogs. And so, you know I understand that the movement towards an all-natural super premium pet food is very, it's huge, it's growing but not everyone can afford it. And I think it's really a, it's tricky. And so, you know we really are striving to provide top quality food at better prices for consumers and I think by us doing a subscription box that's allowed us to bring the prices down a little bit more and go to directly to that consumer with food and cutting out a lot of those price points with middlemen, with retailers and distributors. Right and so, we can continue to do that. You can get a better price food will do it. I mean we will continue to drive the price down to make sure that we have a top-quality food. That everyone can really feed and I think that's what's most important because for us to naked dog. Our goal is to create that sustained happiness right. [00:32:58] Get the dogs with a proper weight right away. Get the more active, get people going on walks with their dogs. To me, the happiest thing in the world I can do after I get home from work at six o'clock at night. I can take an one mile, like a 15-minute walk my dog and my wife were happy and I know it sounds cheesy but it's true. Samantha: [00:03:16] No! we do we completely understand we do the same thing. Marco: [00:03:20] Yeah, it's the best thing in the world you want to walk. Samantha: [00:03:21] It is, it really is. Marco: [00:03:23] If everyone could go on a walk with their healthy dog and have great food for them. Gosh, it's an amazing world. There is very few people more unhappy on walks. Marco: [00:33:38] I rarely see anyone angry on a walk with the dog. It's very, very rare. They usually look very happy. And so, if we can get everyone to go out there and walk their dogs, you know even if they're only for once a week, they can go twice a week. If they're never doing it. If they could try it once a week to walk their dog. Even without the dog walker, I'm talking to you and your dog and your significant other and your friends that you could do that. I think it makes the world a happier place. And if we can help contribute to that at the naked dog, we are excited. Samantha: [00:34:07] Awesome, that is wonderful. Thank you so much for all this great information. You know when the naked dog is obviously a newer product. So, I hope that helps to get your name out there a little bit and that certainly gave our listeners a lot of great information about dog food and what they should be looking for when they're shopping for pet food. [00:34:27] For more information on the naked dog you can jump on their Web site which is the nakeddogbox.com. And you heard it from the CEO himself. If you think that this food; if this subscription service might be right for you and for your pet, you can purchase your first box for just $10 using that promo code TopDogTips10. So, I hope this answered all of your questions about specifically the naked dog box and their food and also give you some general information about subscription services the pros and cons there for your pets.